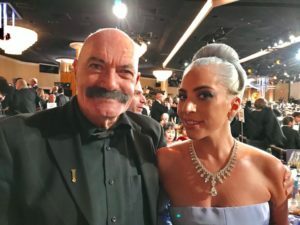 The 2019 Oscar telecast–hostless this year–is broadcast live on Sunday, February 24, 5p.m. on ABC. Hey, don’t get upset! It’s a matter of taste, and we all love some bad movies, not to mention the fact that a flawed picture might still have some good moments, a powerful performance, impressive cinematography, melodic score, stirring visual or sound effects. The fourth bad film to win is: Mrs. Miniver (1942). 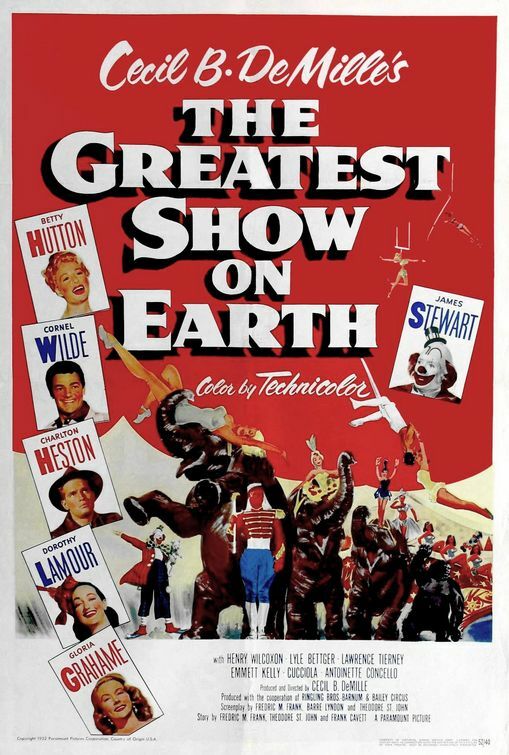 The first adventure movie to win the Best Picture Oscar was Cecil B. DeMille’s The Greatest Show on Earth, in 1952, an ensemble-driven circus melodrama. For no apparent reason, this movie also won the writing award, then called Motion Picture Story, for Frederic M. Frank, Theodore St. John, and Frank Cavett, despite the fact that this was one of its biggest shortcomings. 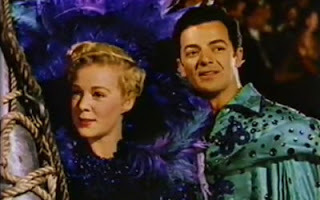 The film received technical nominations for Editing (Anne Bauchens) and Color Costume Design (Edith Head, Dorothy Jenkins, and Miles White), but the winners were “High Noon” for editing (Elmo Williams and Harry Gerstad) and John Huston’s “Moulin Rouge” for costumes (Marcel Vertes). Produced by Paramount, it was the only DeMille film to win the Best Picture Oscar. The film’s inspiration derived from the Ringling Bros, Barnum and Bailey Circuses. 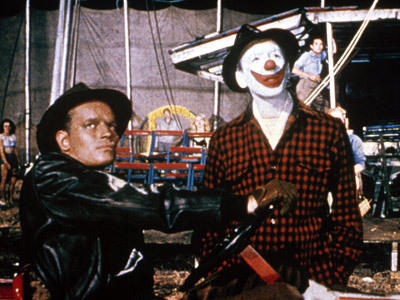 Paramount paid the notable circus $250,000 for the rights to use its name, acts, and equipment. The film features over 80 acts of the Ringling Bros. and Barnum and Bailey Circus, including famous clowns Emmett Kelly and Lou Jacobs, dwarf Cucciola, bandmaster Merle Evans, foot juggler Miss Loni, aerialist Antoinette Concello. The collaboration between DeMille and the Ringling Circus is a match made in heaven: The movie is big, long, loud, garish, and vulgar. The melodramatic story revolves around a romantic triangle between a tough manager (Charlton Heston), his beautiful aerialist (Betty Hutton), and a trapeze artist (Cornell Wilde). 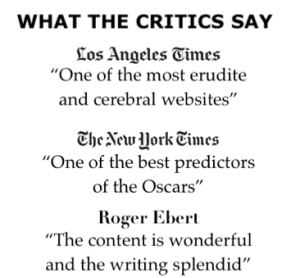 A mass entertainment, “The Greatest Show on Earth” still ranks as one of the most commercially popular, but in my view, it’s also one of the least accountable and least distinguished Oscar-winners in the Academy’s history. The film’s lavish production values and actual circus acts illustrate the massive logistics effort which are responsible for the magic of top circuses. Furthermore, this movie began the tradition of honoring big-budget, special-effects blockbusters with a large number of nominations, as will become evident in 1956, when Around the World in 80 Days, another mediocre spectacle picture, won the top award and other honors. DeMille won his first and only directorial nomination for this picture, but the winner was John Ford for “The Quiet Man.” The Academy must have anticipated DeMille’s failure to win a competitive award for it decided to honor him with a Special Oscar, in recognition of “The Greatest Show on Earth,” as well as other blockbusters. This tribute was well-timed: DeMille made just one more film, “The Ten Commandments,” before dying in 1959 at the age of 78. Director DeMille’s voice-over, which precedes the film, is bombastic and pretentious, a fitting overture to the spectacular soap opera that unfolds on screen. “We bring you the circus — that Pied Piper whose magic tunes lead children of all ages into a tinseled and spun-candied world of reckless beauty and mounting laughter; whirling thrills; of rhythm, excitement and grace; of daring, enflaring and dance; of high-stepping horses and high-flying stars. “But behind all this, the circus is a massive machine whose very life depends on discipline, motion and speed — a mechanized army on wheels that rolls over any obstacle in its path — that meets calamity again and again, but always comes up smiling — a place where disaster and tragedy stalk the Big Top, haunts the back yard, and rides the circus train — where Death is constantly watching for one frayed rope, one weak link, or one trace of fear. Brad Braden (Charlton Heston), the manager of the world’s largest railroad circus, faces many problems before the upcoming season. The board of directors plans to run a short season rather than risk losing $25,000 a day in a poor post-war economy for such entertainment. Brad bargains to keep the circus on the road as long as it is making some profit. 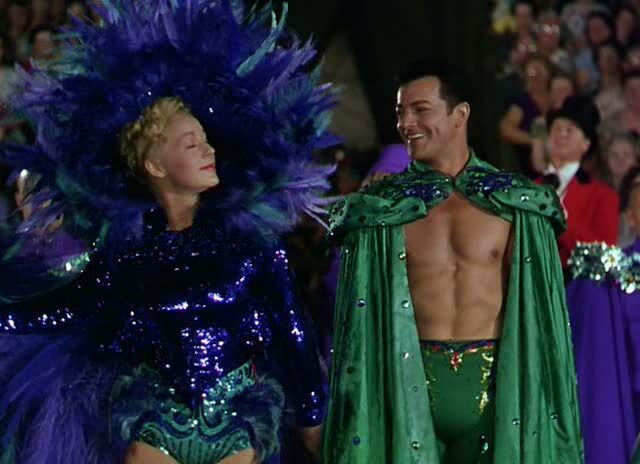 Brad tells his girlfriend Holly (Betty Hutton), a flyer aspiring to be the circus’ major star, that she won’t be the center, because he was forced to hire The Great Sebastian, “the King of the Air” and trapeze artist, as the show’s main star. Moreover, Brad needs to watch Sebastian, who gets too involved with the female performers. The other characters include Harry, who is suspected of working for the gangster, Mr. Henderson (Lawrence Tierney). Buttons the Clown, never seen without makeup, is warned by a mysterious woman that there are some serious questions about his dubious past. Later on, the nature of his former life is revealed, when Holly reads an article about a doctor who had “mercy-killed” his wife. (The notion of mercy killing was not widely spread in the U.S. in the early 1950s). Complicating matters is a romantic triangle, Sebastian and Brad are both vying for Holly, and it doesn’t help that the acts increasingly become more daring and dangerous. Meanwhile, Sebastian ignores his former lovers, Angel (Gloria Grahame), who performs in the elephant act, and Phyllis (Dorothy Lamour), who does a double turn as an iron jaw artist. Later on, when Sebastian removes his safety net, he suffers injuries in a fall. Holly, who’s in love with Sebastian, finally gets the center ring and star billing she has desired. Brad fires Harry when he is caught cheating, and Harry leaves, vowing revenge. Sebastian rejoins the show, but he is unable to return to the trapeze due to injury. The guilty Holly professes love for her former rival over the seemingly cold and detached Brad. Calling Holly a fool, Angel then makes a pass at Brad, which upsets Klaus. Special Agent Gregory of the FBI (Henry Wilcoxon) interrogates Brad, showing him a photo of the man they pursue. Though at first Brad doesn’t recognize the man, he later makes a connection between Buttons and the fugitive doctor. The joy of Sebastian’s recovery is overshadowed by a collision of the circus’ two trains, set up by Harry (John Kellogg), the crooked fired by Brad, and Klaus, Angel’s rejected suitor, Klaus. When Buttons returns, Holly identifies him as the doctor who had killed his wife. He saves the critically injured Brad with a blood transfusion from Sebastian, and is later arrested by Gregory. At the end, Holly takes over the show, mounting a circus parade through the town, while Brad’s near-death forces him to open his heart and declare his love for Holly. John Ringling North plays himself as the owner of the circus. There are some unbilled cameos, including Bob Hope and Bing Crosy, co-stars of Dorothy Lamour in the “Road “movies. William Boyd appears in his typical guise of Hopalong Cassidy. Danny Thomas, Van Heflin, Oliver Blake, and Noel Neill are among the circus patrons. Leon Ames is seen and heard in the train wreck sequence. 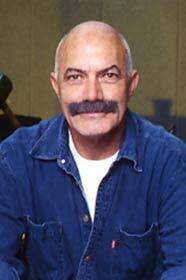 A barker, whose identity is kept anonymous, is heard in the film’s closing moments, and it turned out to be the voice of Edmund O’Brien (future Best Supporting Actor winner).